LUTV is the higher education cable channel for St. Charles County. It is a resource provided by Lindenwood University for the County’s 50,000 Charter Cable subscribers. It is also available to AT&T U-Verse subscribers throughout the St. Louis metropolitan area, and it streams live on the web 24 hours a day, 7 days a week. First, LUTV provides the community with educational and cultural programming covering a variety of topics. 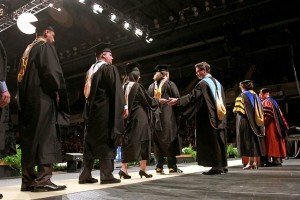 Lindenwood’s outstanding faculty, students, and performance groups take pleasure in being able to share their knowledge, expertise, and talent with their neighbors. Second, LUTV serves as a learning laboratory for our students. 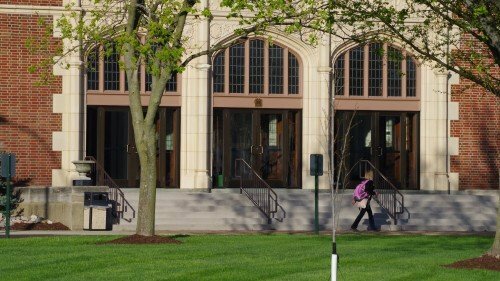 Programs produced at Lindenwood feature student producers, student directors, student editors, and student hosts. LUTV is an outstanding way for students to obtain practical experience, and it is a large part of the reason that Lindenwood Communications students are among the best trained and most prepared in the region. LUTV can be found on Charter Communications channel 989 using a Charter digital cable tuner. Viewers using QAM tuners can find LUTV at frequency 106. A QAM tuner is a device in some newer digital televisions which helps direct reception of digital cable channels without the use of a set-top box. AT&T subscribers will find LUTV on channel 99 in the U-Verse lineup. LUTV appears under the channel listings of St. Charles County, St. Charles City, the city of St. Peters, and the city of Florissant. Watch LUTV Coverage of Graduation by tuning into Charter 989, AT&T U-Verse 99, or watch LUTV's YouTube channel live event streaming online! 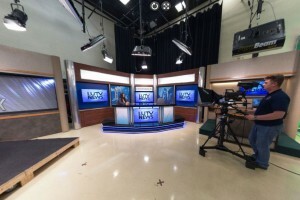 The J. Scheidegger Center for the Arts houses the Lindenwood University TV (LUTV) Studio.